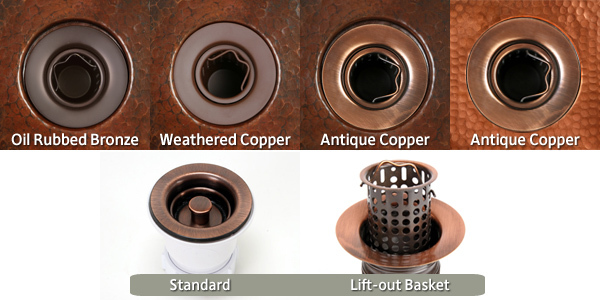 The Round Bar Sink is crafted from lead-free, hand-hammered 16 gauge copper by 3rd generation coppersmiths. Our sinks are TIG Copper Welded. Versatile flat bottom, too! The products from Copper Sinks Online are gorgeous! They have been in for a few months now and have a lovely patina. We ordered the matte copper in this sink and the curve front divided farmhouse sink. The strainers are excellent quality. Customer service was very accommodating when we had to exchange a size. The replacement was here in a very timely manner. We would definitely order from here again!